At our wedding, we were told by older couples to make sure and set aside time for dates. Thinking we would never have that issue, we politely brushed their advice aside. Three and a half years later, however, we understand what they were talking about. Weeks are busy, weekends fill up, and before you know it you haven't been on a real "date" in ages. Embarrassingly, our last legitimate one-on-one date was when we celebrated our anniversary on September 15th (which was awesome - dinner at a really nice curry restaurant and walking along the beach at sunset). Even though we have been able to share a ton of fun times and memorable experiences since, a true and legitimate date night was in order. Thankfully, this past Saturday, March 5th, our schedule opened up, and instead of just relaxing at the apartment, we seized the opportunity. We got online and booked a suite at our favorite hostel in Hiroshima for Saturday evening. Date night was on - and in Hiroshima, of all places! Our Anniversary date back on September 15th, only two months after arriving in Japan! We took off from our island early Saturday afternoon and drove to Obatake Station, where we caught the train. After the 30 minute drive and 70 minute train ride, we arrived in downtown Hiroshima. We sat down for a quick lunch (at MosDo, a Mos Burger and Mister Donut hybrid, totally heaven), and spent some time perusing around one of Hiroshima's nicer malls. Later, we checked into our hostel, and after relaxing for a while, decided to get a drink together before dinner. Michelle and I have come up with our own system for drinking, as drinks at a restaurant here are ridiculously expensive. One drink costs at least $6, and they are usually small at that. To solve this dilemma, Michelle and I implemented our "C to C" (convenience store to convenience store) plan. There is no law in Japan forbidding open containers in public, so as we walked to dinner, we stopped at a 7/11 on the way and each bought a $1.50 can of Hi-Chu (cocktail in a can), drank it, and then repeated the process at the next 7/11. A couple of drinks shared together for less than $10! Ok Ok, so maybe it's not really romantic, but it sure was fun. What could be better than MosDo for lunch? For dinner, we took a break from Japanese food and went to a nice Peruvian joint. The low-key lighting and good food made for a very enjoyable time. Afterwords, we walked to one of the main entertainment districts and sang karaoke for an hour, in our own private two person room. The Japanese have the karaoke system down. It's not singing in front of strangers at a bar, but more a private event shared with friends (good thing too, because our singing is horrible). That's right, I'm using chopsticks to make a quesadilla. We capped off the night with Purikura, the staple of every Japanese middle and high schooler's life. 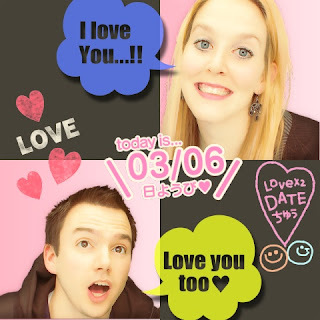 Grocery stores, markets, malls - you name it, it has purikura. 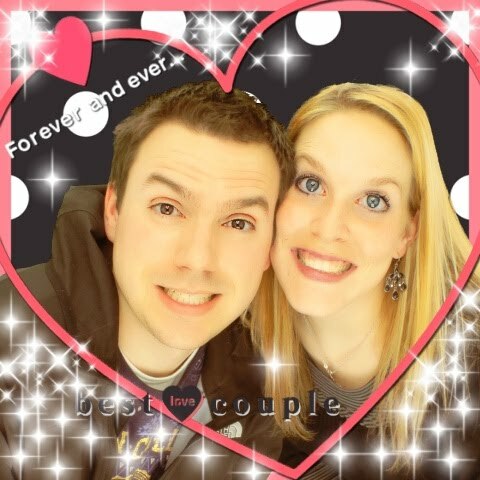 Essentially a large photo booth, purikura adds tons of girly decorations to your photo, makes your eyes look big, whitens your skin (taking 10 years off your face) and makes you look like you hoped out of a Japanese anime. Michelle loves them (and maybe I like them too...), and it was a fun memento of our date. We arrived back at the hostel at two in the morning (unheard of for old folks like us) on a high. Date night in Hiroshima had been a huge success!